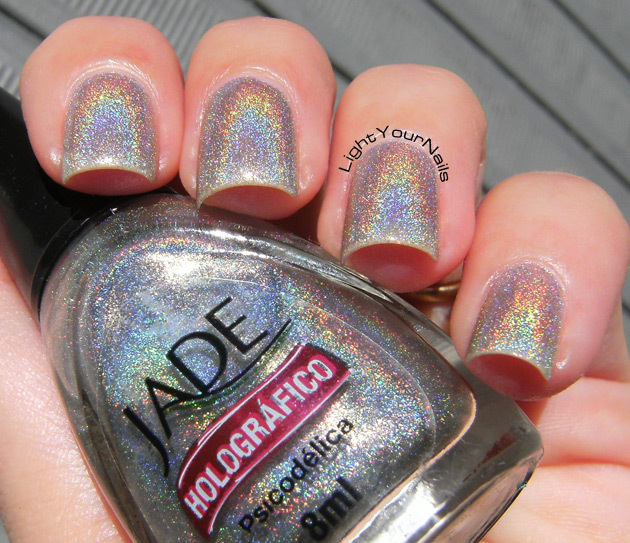 The other side of holos: Jade Psicodelica | Light Your Nails! Sulla lunghezza non c'è gioco! Thank you Natasha! 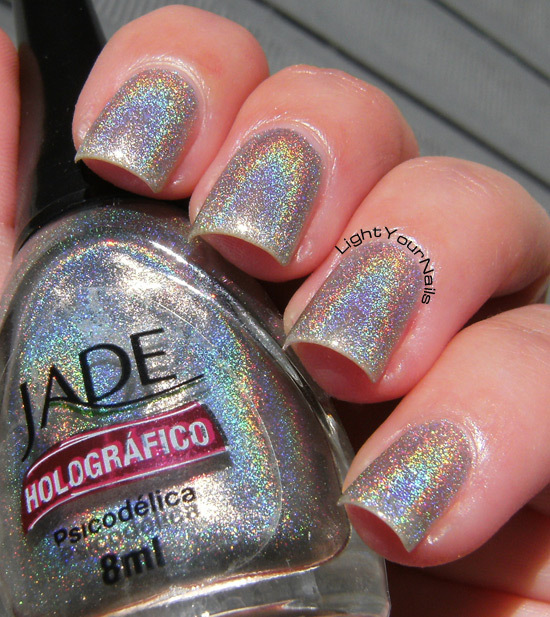 I really love my Jade holos! I have some Jade holos and they are amazing. I really like this silver it looks kind of soft. Thank you Helena! Jade holos are fantastic! Gli holo Jade fanno solo bene alla salute! It looks lovely! I don't have anything by this brand. They have the most amazing holos out there! Davvero?! Per me il Vermelho non si batte! Ohh the holo!!! It's beautiful!! Jade silver holographic polish is stunning. I like to wear holographic polishes as accent or with stamping otherwise it too distracting ..lol..
Ahah that is true about them being distracting! I keep moving my nails whenever I stop for a red traffic light when I am driving! Ahah io non ne ho tanti ma questo è decisamente diverso! 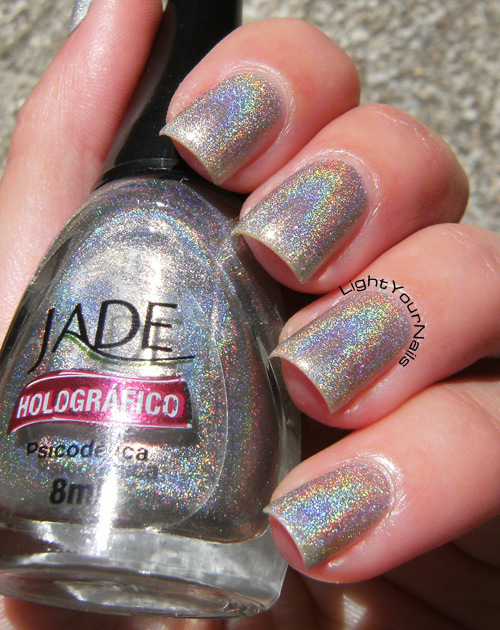 I adore Jade holos! I usually pick a bunch up when llarowe has a sale. LOL! This is gorgeous on you, and it's going on "the list". I think I have most of them, too! They are amazing! This looks so gorgeous! I don't know that brand but it looks stunning! This is so pretty! It looks great on you! I absolutely can't remember my first holo but starting with Jade's must have been crazy! Look at that holo! Just gorgeous! You captured the flame beautifully in your photos. A holo with a jelly base!!! How intriguing!! I'm always so used to seeing ones with a thicker base. It looks like it makes the flame more fierce. Just gorgeous Simona! Thank you Dani! You should really try out a Jade holo! Arcobaleno spettacolare anche sulle tue unghie, comunque! !